I agree to everyone. I have friends who have laptops at home, and other high end gadgets but still use this mobile phone. There are some things that you can never throw away. Like this one. Regadless of its age. It's still functional. This was my first phone and i got it 9 years ago. It was the best cell phone and surprisingly after all that time it still works! maximus, 01 Nov 2009I truly love this phone. This phone is definitely a legend. It was my first phone which I boug... morethe best phone of year 2000!!! I truly love this phone. This phone is definitely a legend. It was my first phone which I bought in the year 2003 and still have no problem using it. 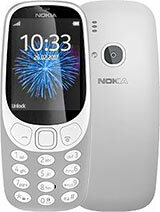 Between these years I used Nokia 7610, 2300, 6260, 3110, and an N73 but nothing comes close to the 3310. It is truly the best Nokia phone of all time. bimboy, 23 Oct 2009this phone is a legend....my mother still have this...and it's working like new.....even if i ... morebimboy u were saying that you can still buy this phone there in the philippines for lets say 800 pesos, is this brand new or used price? I had this phone when it was 1st released i got it for xmas when i wa 12 my 1st mobile i now use an iphone but still have this phone it still works!!! After 9 yrs n still the original battery!! Now thats a phone! !